In today’s NHL rumor rundown, there are updates on Kyle Turris out of Nashville and how he might be connected to Matt Duchene, college free agent Jimmy Schuldt and his narrowing down of viable NHL options and what will the Columbus Blue Jackets do with Brandon Dubinsky’s contract? 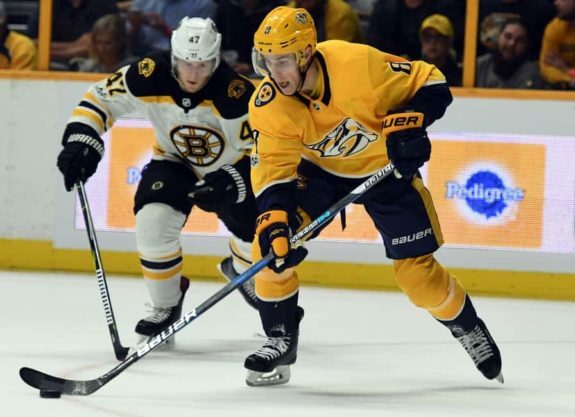 Kyle Turris Unhappy in Nashville? Adam Vingan of The Athletic said during his mailbag segment that he’s heard from multiple sources Kyle Turris is unhappy with his situation in Nashville and that it doesn’t appear to be getting much better as time goes by. Turris’ future with the Predators seems murky. He’s frustrated with his situation, and his play has dropped off significantly. The remaining five years and $30 million on Turris’ contract don’t look so good. Nashville might be open to moving Turris but there are questions as to what the return might be. Would it be a trade to get a player in return or a move to free up salary and go after a bigger fish? It sounds like the Predators are interested in spending some money this summer and Turris represents a way to move out salary to go after a guy like Matt Duchene. Duchene was linked to the Predators and still is despite being moved to Columbus at the trade deadline this season. College hockey player Jimmy Schuldt has narrowed his list of potential NHL teams from more than twenty to just a few according to Bob McKenzie of TSN. Among the top candidates were the Minnesota Wild and the Vegas Golden Knights, that is, until Wednesday. Michael Russo of The Athletic tweeted the list was down to five teams and then after he included Minnesota, had to change that and updated the post to say that the Wild were informed Schuldt was going to choose a different destination. Schuldt, 23, finished his four-year career at St. Cloud State recently with another strong season and is a Hobey Baker finalist. He is an undrafted free agent defenseman who recorded 35 points in 39 games this past campaign. It would have been a big win for the Wild had they signed Schudlt and Nico Sturm who they signed to an entry-level deal earlier in the week. One team who might still be in the running for Schuldt is the New York Islanders. ** Update: not long after posting this article, Schuldt decided to sign with Vegas. Blue Jackets to Buy Out Brandon Dubinsky? 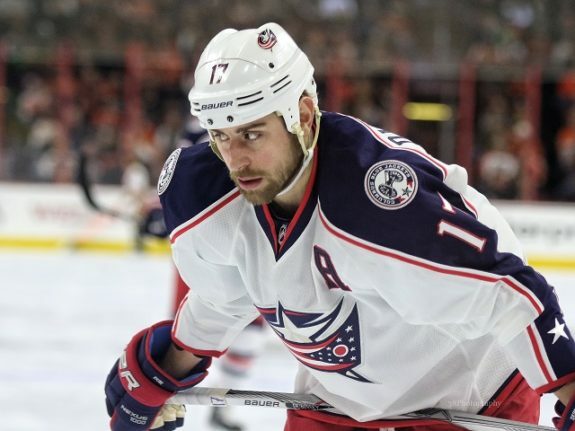 A trusted source out of Columbus, Aaron Portzline, noted during a Q&A for The Athletic, that a buyout of Blue Jackets’ forward Brandon Dubinsky seems more likely than ever. Portzline says, at some point, Dubinsky’s contract will have to be addressed. Portzline admits it won’t be easy to move Dubinsky because he has a modified no-move, no-trade list of ten teams and a trade would be the toughest road. This could be a very interesting few days and summer for the Blue Jackets. They are currently clinging to the final wild-card spot in the Eastern Conference and if they don’t make it, will have some serious changes coming considering they mortgaged a ton of their future to make a run at this season’s Stanley Cup. Larry Brooks of the New York Post writes that the New York Rangers have a tough decision to make when it comes to players like Jimmy Vesey and Chris Kreider. In Kreider’s case, he hit an offensive wall and some will argue the injuries played a role. The Rangers decided to keep him instead of moving him at the deadline but two goals in his last 24 games signal a problem.